I’ve recently finished a wonderful book, The Golem and the Jinni by Helene Wecker. I heard about it a few months ago and thought that I might read it some time and as soon as I started reading, I regretted that I didn’t pick it up earlier ;). Warning: This isn’t just a novel with magical elements in it, it’s a great take on late 19th century immigration to the U.S.! Helene Wecker’s novel about two unusual immigrants is mainly set in New York City around 1900 and she takes you right there. In The Golem and the Jinni, you’ll visit cramped, stuffy tenements as well as stately, airy mansions. You will explore a city that you’ve probably never seen before. Ms. Wecker has a gift for setting. I only wished there would have been a map somewhere in the book to place all the streets and to get a feeling for the distances the characters traveled. The novel follows the two main characters, a female golem and a male jinni, on their search for freedom and happiness. Chava, the golem, is new to life. She learns fast and adapts to the Jewish immigrant society quickly. Her greatest fear is to hurt someone and so Chava stays wary. Ahmad, the jinni, was free to do whatever he wanted and now he is trapped in human form. His self-conscious and impatient character makes him roam New York City night after night. While Chava wants to be like anyone else, Ahmad only wants to be free again to return home to Syria. In my opinion, these two main characters are the archetypal immigrants. They are very different from the rest of the people already living in the U.S.. Chava comes to stay and to make a living. She wants to fit in and still has to learn everything to survive. Ahmad is in the U.S. with the goal to return to Syria as soon as he is free again. He resembles those immigrants who came to America to work and make money just to return home again, although lots of them stayed in the end. 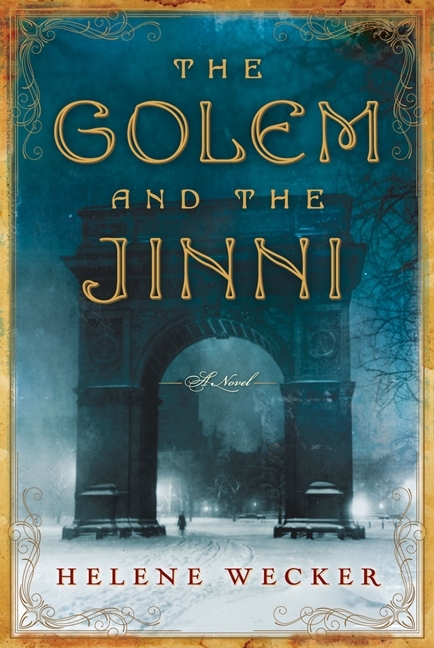 As you can see, The Golem and the Jinni is a novel about immigration and different cultures in New York City around 1900, but this book has even more to offer. It is a book about friendship and trust and it’s a riveting read.